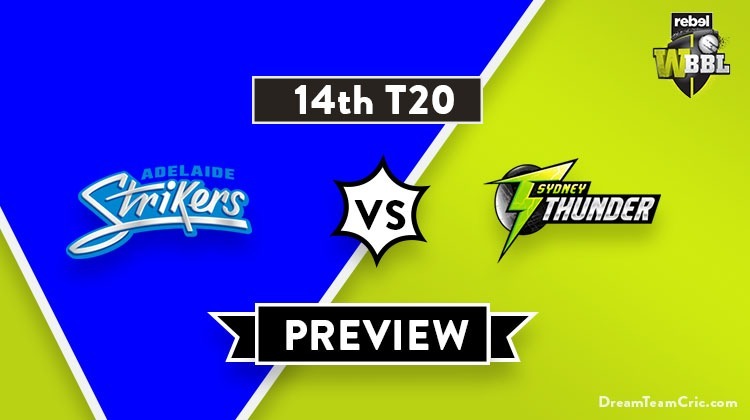 Hello and Welcome to our preview for Adelaide Strikers vs Sydney Thunder match. 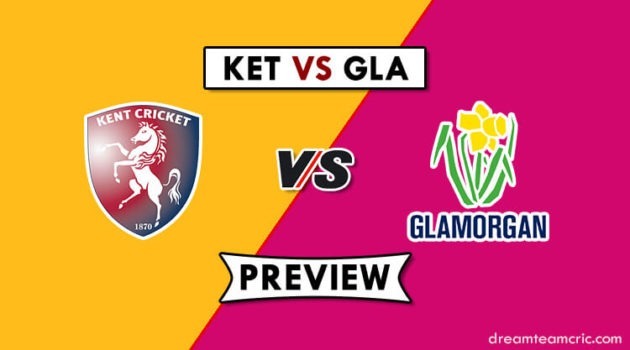 We are covering AS-W vs ST-W Dream11 Team Prediction, Preview and Probable Playing XI for the Women’s Big Bash League 2018-19 match. The match is to be played at Bellerive Oval, Hobart. Adelaide Strikers are fourth on the points table with one win and one defeat. Their last match was abandoned by rain. However, They restricted Renegades at 83 in 14 overs of the bowl. Megan Schutt took two wickets and was supported by other bowlers. They also lost their last completed match on the last ball. They will hope to pocket two wins this weekend after frustrating last weekend. Sydney Thunder has won two and lost one encounter. They won their last match against Brisbane Heat by 28 runs. Batting first, They gave a target of 193 to the Heat with Harmanpreet Kaur being the top scorer for her 26-ball 56 runs knock. R Priest, R Haynes and Alex Blackwell also scored 49, 36 and 33* respectively. Spin Duo of Stefanie Taylor and Maisy Gibson were superb taking six wickets among them while Samatha Bates took two scalps to restrict Heat at 164. They will target the top spot winning tomorrow’s encounter. AS-W vs ST-W, 14th Match, Women’s Big Bash League 2018-19. Suzie Bates (c), Sophie Devine, Megan Schutt, Bridget Patterson, Tegan McPharlin, Katelyn Pope, Sarah Coyte, Tahlia McGrath, Alex Price, Samantha Betts, Amanda-Jade Wellington, D Hazell, T Saville. Alex Blackwell (c), N Stalenberg, Sam Bates, Maisy Gibson, Stafanie Taylor, Rene Farrell, Rachel Priest, Nicola Carey, B Vakarewa, Saskia Horley, Lisa Griffith, R Trenaman, Harmanpreet Kaur. They have declared unchanged 13 women squad for tomorrow’s encounter. Suzie Bates and Sophie Devine will open the innings. Tahlia McGrath and Bridget Patterson will follow them. Megan Schutt, Tahlia Mcgrath and Sarah Coyte will be the key pacers along with Alex Price and Sophie Devine while A Wellington and D Hazell will lead the spin attack. They are likely to go with same playing XI however Samantha Betts can replace Tabatha Saville. Chances of same are less. They have declared 13 women squad for the match. Rachel Haynes has been rested for the next two matches. R Trenaman or S Horley can replace R Haynes in the playing XI. Chances of Trenaman are more. Rachel Priest and Stefanie Taylor can open the innings. H Kaur, Naomi Stalenberg and Alex Blackwell will follow them. Stafanie Taylor, Harmanpreet Kaur, Nicola Carey, Rene Farrell and Samantha Bates will play the role of an allrounder. Rene Farrell, S Bates and N Carey will lead the pace attack of the team. S Taylor will be the key spinner along with M Gibson. Harmanpreet Kaur will assist them. Opener along with Rachel Priest is not confirmed. Chances of Stefanie Taylor are more. Suzie Bates (c), Sophie Devine, Tahlia McGrath, Bridget Patterson, Amanda Wellington, Tegan McPharlin (wk), Megan Schutt, Tabatha Saville/Samantha Betts, Sarah Coyte, Danielle Hazell, Alex Price. Rachel Priest (wk), Stafanie Taylor, Harmanpreet Kaur, Naomi Stalenberg, Alex Blackwell (c), R Trenaman/Saskia Horley, Nicola Carey, Rene Farrell, Samantha Bates, Maisy Gibson, Belinda Vakarewa. Harmanpreet Kaur is also good in Batsman, while Megan Schutt is also good bowlers. Captain and Vc choices: S Devine, S Taylor, H Kaur, M Schutt, Suzie Bates, R Priest. 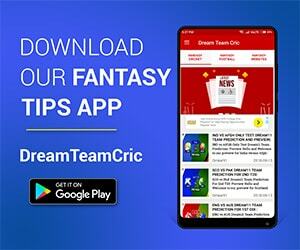 If you liked AS-W vs ST-W Dream11 prediction, then follow us on Twitter for Latest Cricket News and Grand League Teams.